Amazon is selling the Roku Streaming Stick+ for $49, down from its usual $60. Whether you're new to the streaming game or just want to boost your existing setup, Roku offers some of the best streaming devices on the market. And today, you can grab the fully loaded Roku Streaming Stick+ for $49 on Amazon, down from a list price of $60. 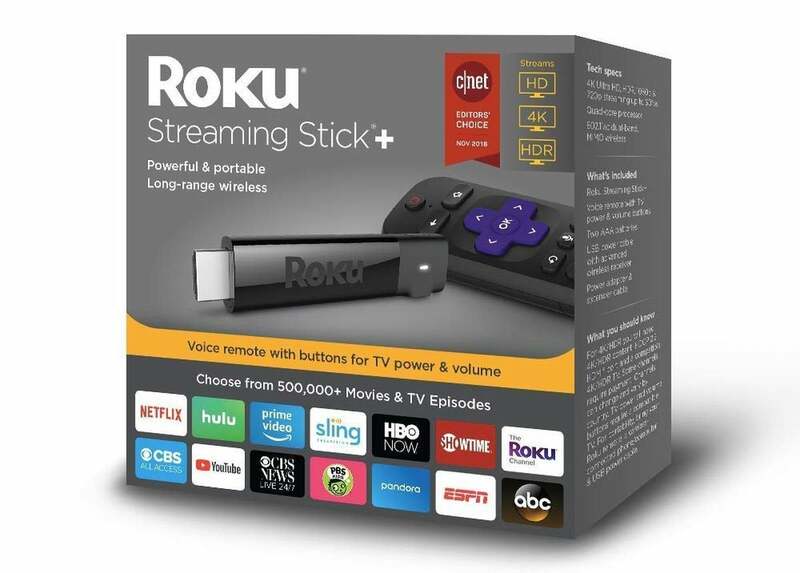 This compact plug-and-play streamer comes with all the power of Roku built in, so you'll be able to access a huge lineup of streaming services all from one device. An intuitive included remote makes it easy to navigate through Roku's user-friendly interface, while 4K and HDR capabilities offer solid visuals for the services that support such lofty levels of eye candy. In addition, you can use your phone as a remote with the Roku app, and use it to cast content, control with your voice, and even plug in your headphones for private listening. We gave the Roku Streaming Stick+ 4.5 stars out of 5 in our review, noting its awesome user interface, strong streaming quality, and slick remote as reasons to buy.